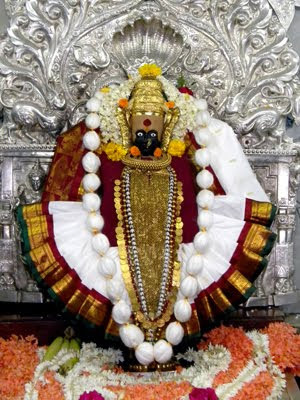 The Mahalaxmi temple, an ancient temple in kolhapur, is dedicated to the Goddess of prosperity and peace. 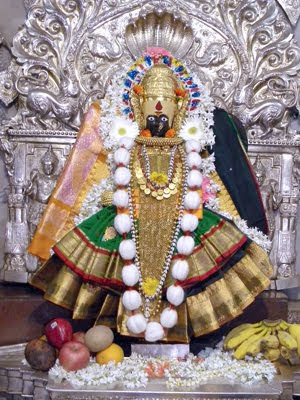 Shri Mahalaxmi locally known as Goddess Ambabai . 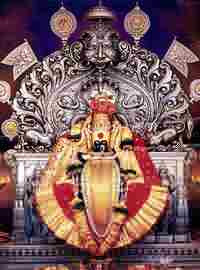 The temple was constructed during the region of king karandev of chalukya dynasty in 7th Century AD. 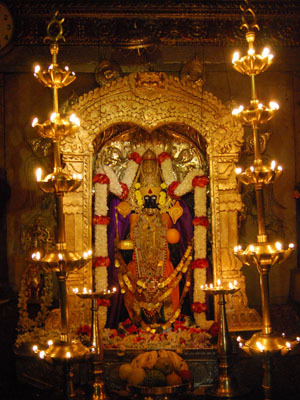 Construction and development of this temple continued during kingdoms Chalukya for next two centuries. 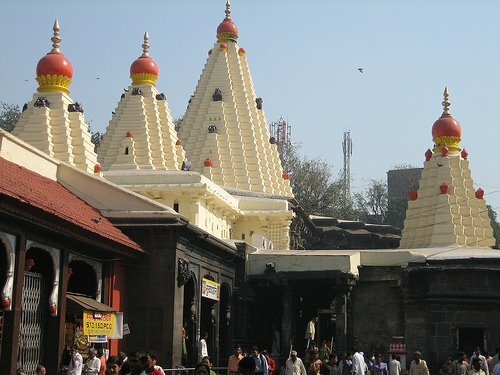 Temple has faced major earth quake during the period of 8 - 9th century, then afterwards reconstruction work has been done by kingdom of Rashtrakut. In 12th century kolhapur is a capital city of king Shilahar . The maximum construction of this temple is been built by king Shilahar during 12th century. 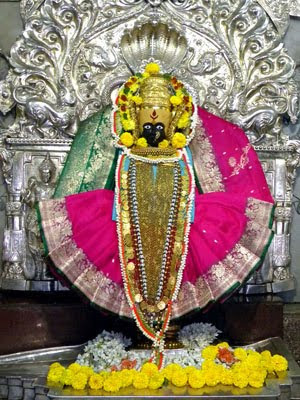 Goddess Mahalakshmi is truly a goddess of protection which can be evident from this history behind the Kolhapur Mahalakshmi temple. 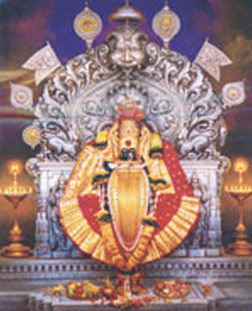 Kolhasur, a demon was giving troubles to the people and later killed by Mahalakshmi to save the people. The demon Kolhasur has a last wish that thename of the place benamed after him. 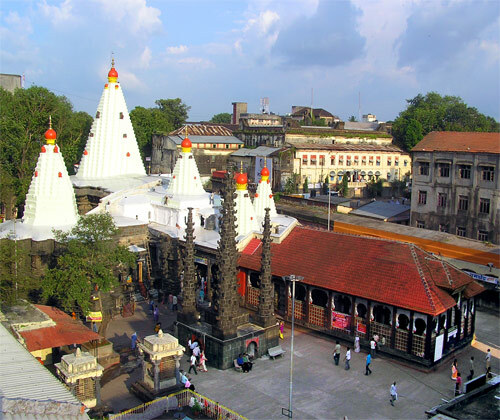 Kolhapur is mentioned in Devi Gita, of the Srimad Devi Bhagawatam, as a great shakti peetha , Place of worship for goddess Shakti.